Game description: The Prince of Persia returns to his kingdom to find it decimated by war and turned against him in Prince of Persia: The Two Thrones. You can play as the time-bending prince or his evil alter-ego as he tries to return to the throne that is rightfully his. Now there are two distinct characters, each with their own abilities and backgrounds, as you explore the urban setting of Babylon. Prince of Persia: The Two Thrones adds new Sands of Time abilities and an all-new setting for the third chapter in the Prince of Persia story. The game follows the second ending of Prince of Persia: Warrior Within, in which the Prince kills the Dahaka, saves Kaileena, and prevents the Sands of Time from being created. 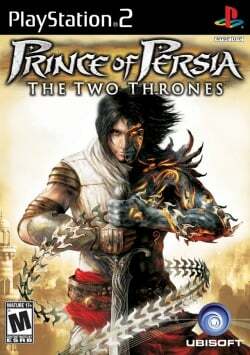 The Prince's actions alter the timeline of events that took place in both Prince of Persia: The Sands of Time and Prince of Persia: Warrior Within. However, the Prince's memories have not been modified, and he still remembers the events from the first two games. Game works fine at full speed., Slight bloom in Gsdx HW mode but doesn't effect the game. Description: Background and textures flickers in the main menu and in-game. Workaround: This has been fixed in the latest stable and developer builds of PCSX2. This page was last edited on 12 April 2018, at 09:40.